“My ambition is to become a Salesforce Admin”, she said. Well Ok Then. Miss A then pulled her phone out of its case. The back of it was plastered in Trailhead badges. Trailhead is Salesforce’s online learning platform – it’s badge-based and gamified and tries to make tech learning fun. It has a cartoon character vibe, which works well at Salesforce offline events. I asked Miss A for her email address and introduced her to Adam Seligman, EVP App Cloud at Salesforce. He kindly followed up. She has now earned many more badges, but hasn’t yet become an Admin. An admin makes around $88k a year, and there are plenty of jobs out there. 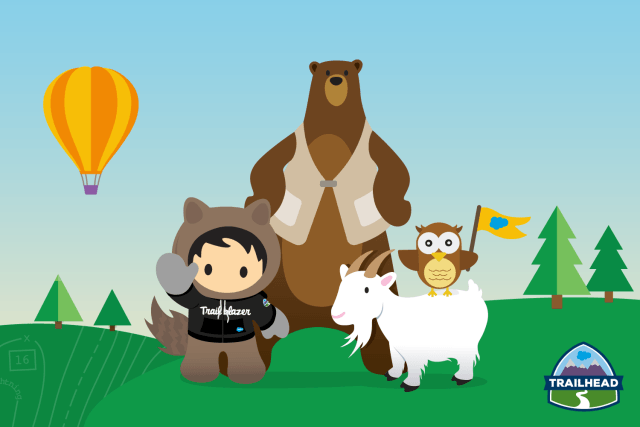 Salesforce is working to improve inclusion with programs for Veterans – Vetforce and Boldforce (Black Organization for Leadership and Development at Salesforce). Not everyone is going to become a software developer, but plenty of us could become admins. Salesforce has a crazy goal of 100m in its network – the vast majority of those are going to be Admins. When I was watching the amazing keynote yesterday by Leah McGowen-Hare it powerfully struck me that if Miss A was at the event, just how powerful seeing a fellow black woman completely owning the Salesforce main stage would be. My related goals are fairly straightforward, and definitely achievable. All very valid goals. And I would be happy to help if you need anything.